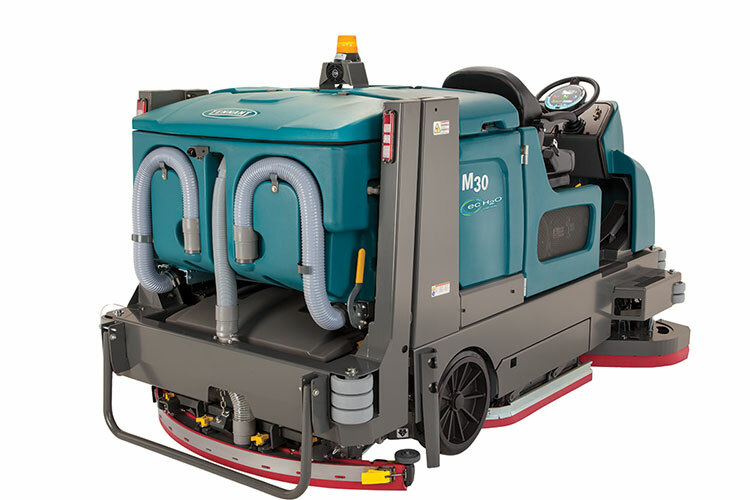 The Tennant M30 Rider Sweeper-Scrubber is a large integrated sweeper-scrubber that provides exceptional cleaning performance. 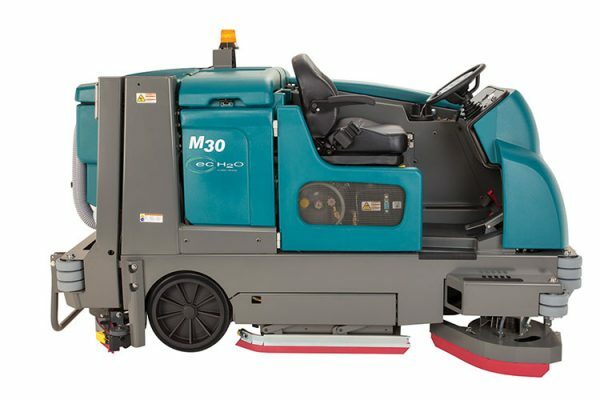 The M30 features FloorSmart® integrated cleaning system technology that allows the operator to effectively clean wet or dry floors in one pass. 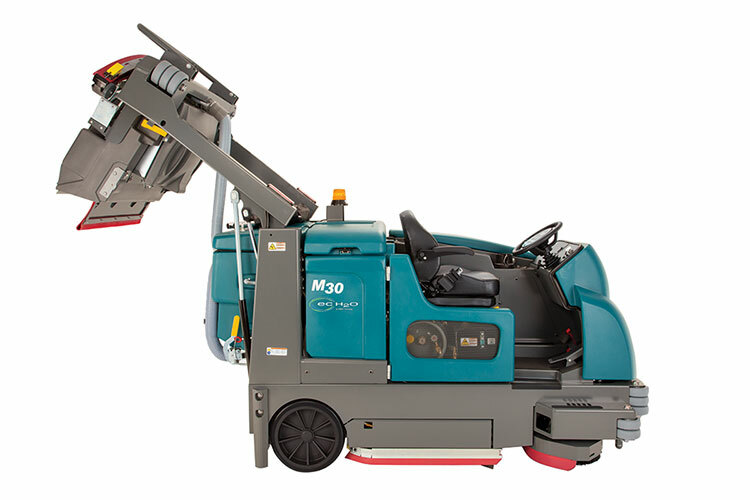 This machine is capable of reaching a 64 inch cleaning path. 100 gallon capacity solution tank helps you reach maximum productivity. The ec-H2O™ technology uses up to 70% less water, allowing you to clean up to 3x longer on a single tank of water. 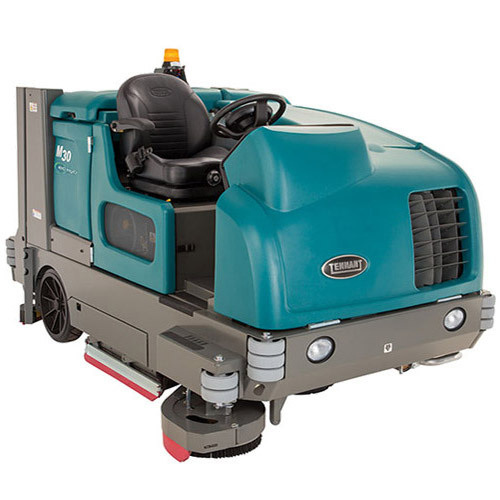 The Tennant M30 Rider Sweeper-Scrubber is available now for rent or to purchase. 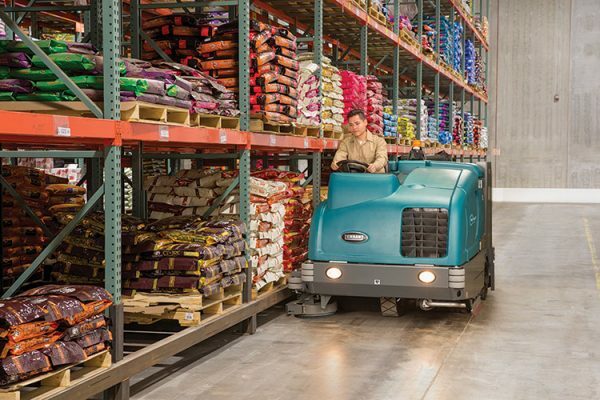 Call today to get a free demo! 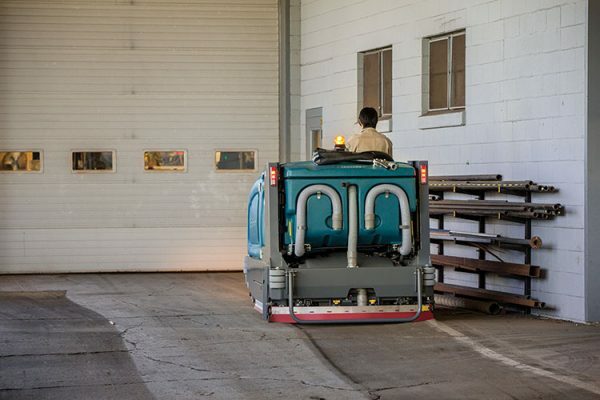 w/ Scrubbing Side Brush: 62"
w/ Sweeping Side Brush: 64"
Brush Diameter- scrubbing: 16 in. Brush Diameter- sweeping: 21 in.